Associate Professor Carolyn Rosé delivered a keynote address in Atlanta in February, and will deliver another keynote in Munich in March. Associate Professor Carolyn Rosé is on the lecture circuit this semester. The keynote lecture circuit, that is. Rosé, who holds joint appointments in the Human-Computer Interaction Institute and the Language Technologies Institute, traveled to Atlanta earlier this month to deliver the keynote address at SEEDS, the Southeast Educational Data Symposium. The conference brought together administrators, researchers and instructors who shared best practices for using educational data to foster student success. In her talk, "From Discourse Analytics to Design," Rosé discussed how text-mining techniques can be applied to massive open online courses (MOOCs) to estimate measures of student attitudes, motivation, cognitive engagement and confusion. She illustrated how those measures can be used to predict student dropout over time and identify students vulnerable to dropping out, then presented intervention techniques inspired by these analyses and the positive impact they've had in MOOC environments. Early next month, Rosé will travel to Munich as one of the keynote speakers at the Munich Center of Learning Sciences' REASON International Spring School. The conference, held at the Ludwig Maximilian University of Munich, allows Ph.D. students from around the globe to gather and extend their knowledge of scientific reasoning and argumentation while receiving feedback on their own research. As part of the school, Rosé will deliver the keynote talk "Collaborative Reasoning in Massive Open Online Courses," in which she'll discuss analysis of collaborative reasoning in MOOCs that require problem solving (e.g., computer programming or math courses) and how research using both bottom-up and theory-driven approaches points to the important role collaborative reasoning plays in keeping students engaged over time. 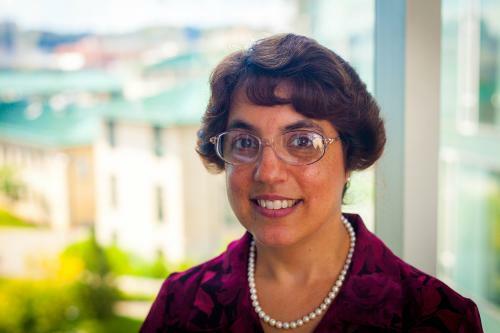 In addition to her work at Carnegie Mellon, Rosé also serves as president elect of the International Society of the Learning Sciences and associate editor of the International Journal of Computer Supported Collaborative Learning and the IEEE Transactions on Learning Technologies.